It’s April 1 today and no this isn’t a joke, it’s Melissa McCarthy’s forthcoming film Spy. I did that post last year! This, unfortunately, isn’t a joke. I think it’s meant to be funny, however with the great cast it just doesn’t work. Even the trailer has to repeat two “jokes” in the, almost, three minute running time! Could this say something about the film? There is also a new poster released. I’m not sure what to make of it. Especially as I’m trying to keep it to a family audience! Susan Cooper is an unassuming, deskbound CIA analyst, and the unsung hero behind the Agency’s most dangerous missions. But when her partner falls off the grid and another top agent is compromised, she volunteers to go deep undercover to infiltrate the world of a deadly arms dealer, and prevent a global disaster. Find out more on Facebook or follow the conversation on Twitter. 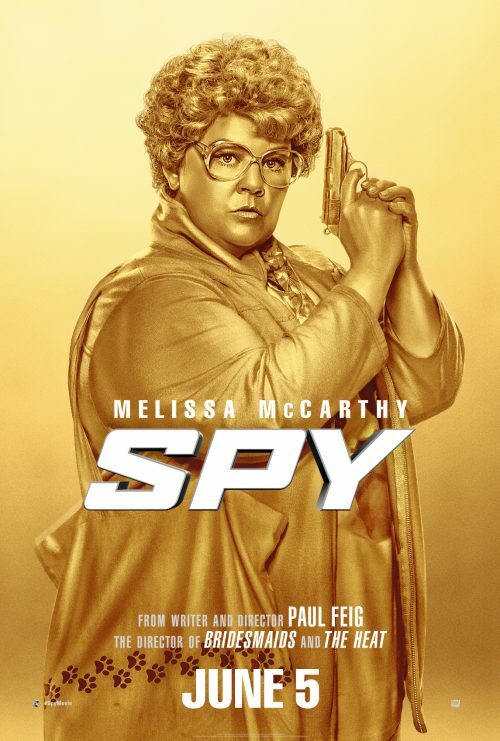 Melissa McCarthy is a Spy!